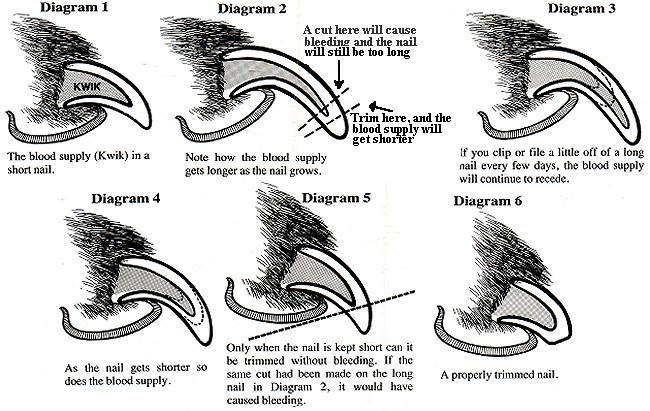 This is a useful graphic showing how to cut your wolfhounds nails. My three all hate having their nails cut, but I’m reliably informed that if you smear a chopping board or similar with peanut butter (make sure there’s no xylitol in it) then the dog will be so busy licking the tasty chopping board that they won’t even notice that you are cutting their nails. Previous PostPrevious Florrie’s Famous Fan!